In 1952, the legendary prime minister of the State of Israel, David Ben Gurion, traveled through the central Negev Desert. There, he saw a group of young people, working very hard and living in tents. He stopped to speak with them; they told him that they had fought in the area during the War of Independence in 1948. They thought that fighting over a place was of no use if you were not going to settle it and develop it. Ben Gurion was so inspired by their response, that a year later he retired from his office as Prime Minister and joined this group of young people as a 67-year-old pioneer. Later, he was called back to navigate the state through some stormy waters, but when he finally retired in 1963, he returned to the same place, Kibbutz Sde Boker, where he spent the last 10 years of his life. Born in 1886 in Poland, Ben Gurion (born David Green), grew up with the idea that the Jews needed to return to their original homeland. He made aliyah (immigration to the Holy Land) in 1906, and became a farmer in one of the new Jewish colonies. Soon, he found himself engaged in political Zionist activity, and gradually, he emerged as a leader. He also changed his name to Ben Gurion, an old Hebrew name. At the end of World War I, he stayed in the United States, where he met his future wife, Paula. He joined the British army, and went with them back to the country, which at that time, was known as Palestine. In the 1920’s and 1930’s, Ben Gurion was already the dominant figure in the workers’ political parties. Eventually, he became the sole leader of the Palestine Workers Party, and the Chairman of the Jewish Agency – the de facto government of the state-to-be. He pushed very hard for the idea of creating a Jewish independent state, even when it was not a popular idea. In 1948, Ben Gurion pressed for the declaration of independence, which some leaders rejected, fearing that it would lead to attacks and destruction by the Arab states. Ben Gurion is the person, who in 1948, stood behind the concept of uniting all of the Jewish underground organizations into one army – the IDF (Israel Defense Forces). He also made many other decisions that enabled the young state to win the war. After the War of Independence, his main mission was to absorb the hundreds of thousands of olim (new immigrants), and supply them with jobs and housing. Within five years, the population of Israel had doubled. The expansion of Israel’s population required the rationing of resources, which Ben Gurion enforced strictly. So, why visit his hut? When you learn about the life of great figures, you are also curious to see how they lived. 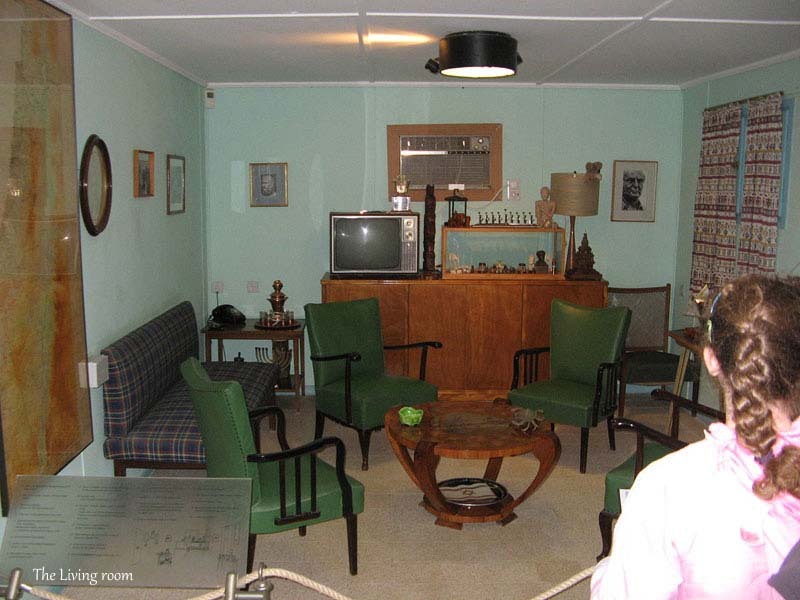 Ben Gurion’s hut teaches you a lot about his character. Material things were of no importance to him; you can see for yourself how simply he lived. 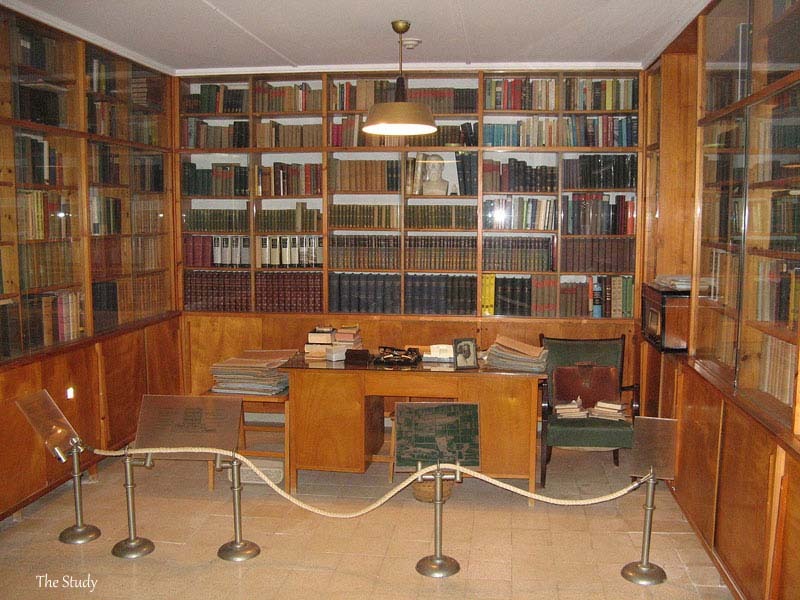 You will understand how important reading was for Ben Gurion when you see the size of his library. 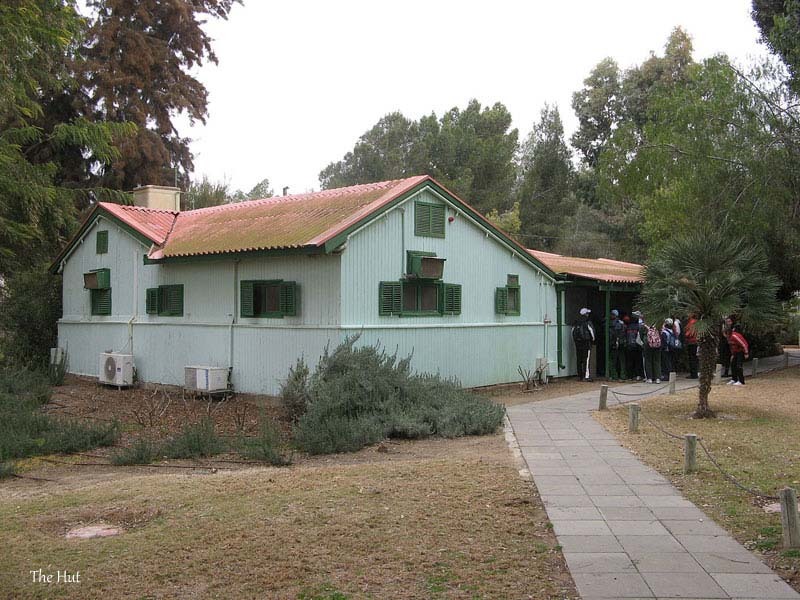 Next to the kibbutz, located opposite the wonderful view of Nahal Zin, you can visit his grave.